It is the right time we change the way kids eat in schools. Banning junk food and carbonated drinks in Schools will set new standards for healthy foods that will make our kids feel better, grow better and learn better and it will improve the nutrition quality of school meals and remove junk food from schools. This PIL is about making sure children have nutritious school lunches and breakfasts every day. On one hand, children are taught in the classroom about good nutrition and the value of a healthy lifestyle, on the other hand we continue to make junk food available to them. Our children’s eating habits are engrained in them from a young age, so what are we teaching our children? At what cost is it ok for junk food to be available to them at school? When you have a sumptuous junk meal rich in oil you feel drowsy and fail to concentrate. Over sustained periods of junk food eating, blood circulation drops due to fat accumulation. Lack of vital oxygen, nutrients and proteins particularly can stale your grey (brain) cells temporarily. To immediately ban junk food & carbonated drinks in schools. To initiate measures to discourage the availability of “fast food”, unhygienic food and foods with unhealthy ingredients within 500 yards of the school. 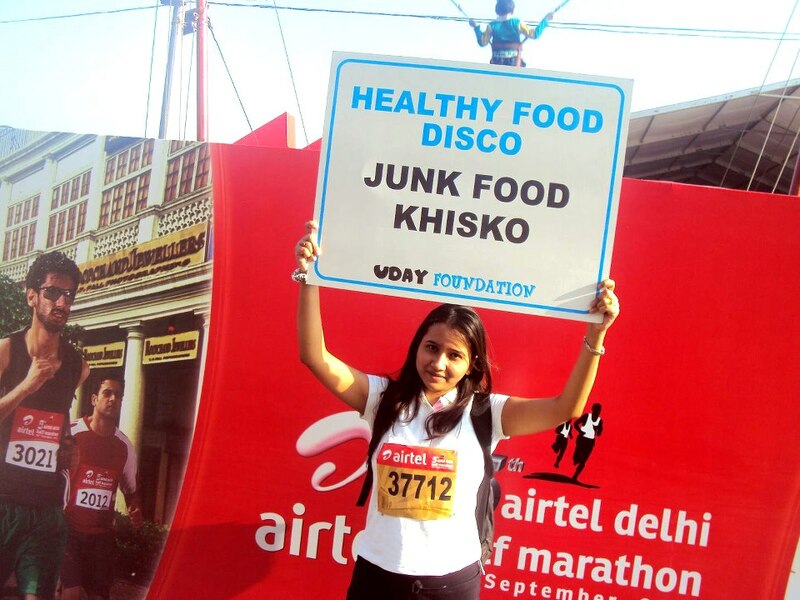 Ban junk food & carbonated drinks advertisements in media and well as in the television through any means. Delhi High Court appointed Senior Counsel, Neeraj Kishan Kaul as the amicus curiae in the matter. Neeraj Kishan Kaul has already assisted the Delhi High Court as amicus curiae in a number of matters including matters relating to prevention and cure of dengue, rehabilitation of orphaned minor girl and provision for free medical treatment for the poor patients in hospitals. Please contact our founder, Mr.Rahul Verma, Email: [email protected] for any information on our PIL to ban junk food in School. March 2014: A report submitted by an expert group on junk food has recommended regulation of such food items in school canteens . October 2013: The Delhi high court rejected objections by the food and beverages industry and refused to modify its earlier order constituting a panel to frame guidelines on sale of junk food in school canteens. The Delhi High Court today allowed the Centre’s plea that an expert committee would examine its recently-drafted guidelines on regulating sale of junk food and aerated drinks in and around schools premises. July 2013: The Centre was given a 10-day deadline by the Delhi High Court to come out with detailed guidelines for regulating sale of junk food and aerated drinks on and around school premises in the country. Union Government informed the Delhi High Court that the Food Safety Standards Authority of India (FSSAI) has started the work for framing guidelines to make available quality and safe foods at schools across the country. 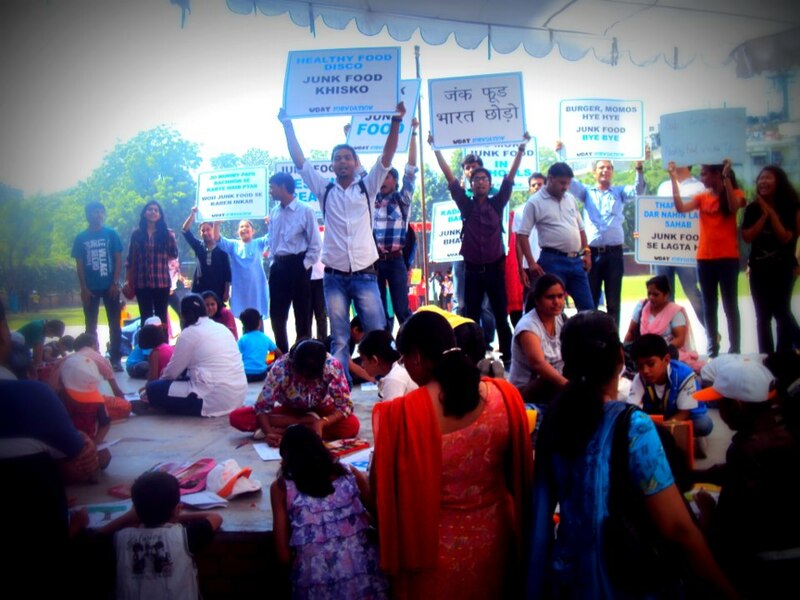 They further stated that there are more than 8 lacs primary and upper primary schools spread all over the country, imparting education to more than 12 crore children, the FSSAI said in its response to HC. The FSSAI would review the present status of safety and food quality and hygiene conditions in school premises. It would also study food habits of school children, food handling and hygiene practices in school kitchens, safety standards of ingredients in foods prepared at school canteens, mess or under mid-day meal scheme and availability of infrastructure. November 2011: All India Food Processors Association became party in the case. October 2011: The Union of India filed the Affidavit wherein it is accepted, in principle, that there is need to ban the junk food in Schools. In the Affidavit, certain steps which are taken to achieve this are stipulated. 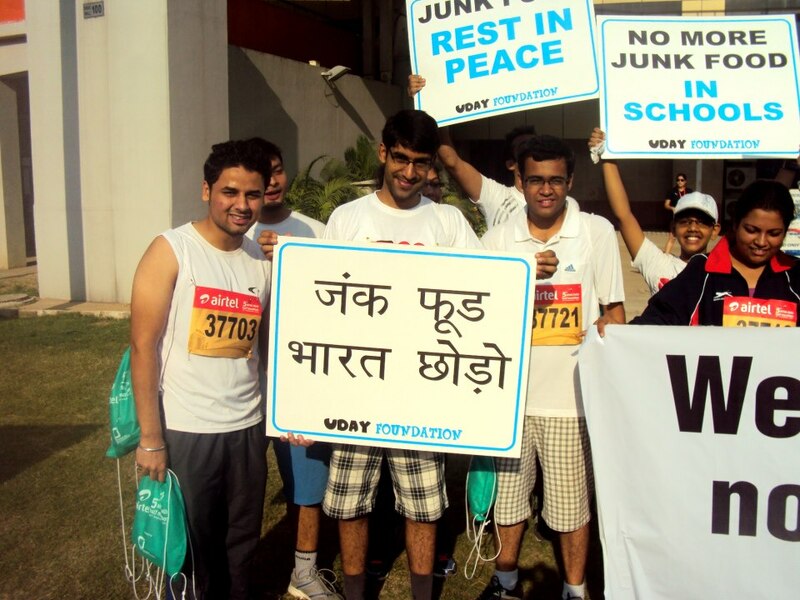 December 2010 – Uday Foundation filed Public Interest Litigation in Delhi High Court to ban junk food and carbonated drinks in the schools and also for its sell within a radius of 500 yards. · To immediately ban junk food & carbonated drinks in schools. · To initiate measures to discourage the availability of “fast food”, unhygienic food and foods with unhealthy ingredients within 500 yards of the school.